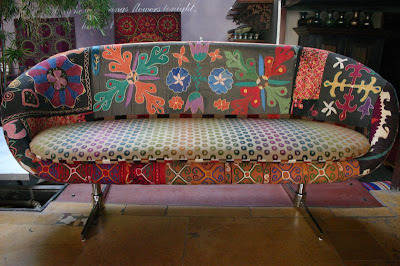 Many thanks to one of our readers for the late addition to yesterday’s post about Casamento’s patchwork chairs. 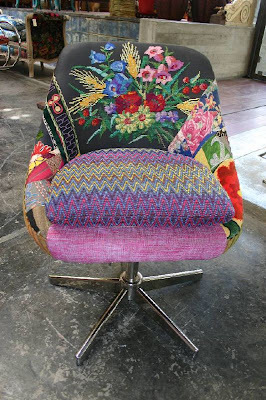 Jakaranda Prinses pointed me to this extraordinary work by Lebanese outfit Bokja (via Decor8). Bokja’s haute bohemian chic combines old and traditional textiles with modern furniture, to stunning effect. Read more about them at Decor8, and also at the Bokja website.